Realme tops the 11.11 Online Sale Festival in Southeast Asia, confirms entry to the Philippine market. 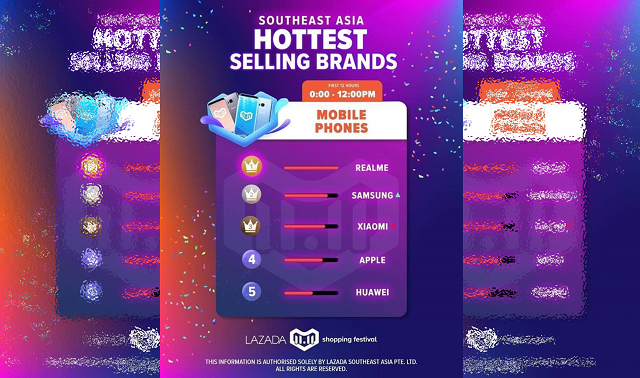 Upcoming smartphone player, Realme, clinches the title of the hottest selling smartphone brand in Lazada's 11.11 Shopping Festival in Southeast Asia. The brand has the top mobile phone sales record in the highly-frenzied ecommerce festival. Realme is yet to enter the Philippine smartphone market, but it has outperformed its competitors with overwhelming sales in Indonesia, Thailand, and Malaysia in the recently-concluded Lazada 11.11 sale. According to an email sent by the company, Realme breaks sales record previously held by its own products with a successful 40,000 units of sales in 21 minutes. The OPPO sub-brand also became the "Triple Smartphone Champion" for the fastest sales growth, highest total unit sales, and single product sales. In Indonesia, the Realme C1 managed to become the best-selling smartphone in 12 hours in Lazada's National Online Shopping Day 11.11. In Thailand, Realme sold 1000 units in 8 minutes during Lazada Thailand's 11.11 shopping festival. On the other hand, Realme 2 Pro sold 2,500 units in three hours in Shopee Malaysia's 11.11 sale. Recently, Realme Philippines upped their social media pages, and the company has confirmed their entry in the Philippines soon. Consumers can expect real value smartphones with better performance and stylish design. The smartphone brand is targeting the younger demographics in the country.